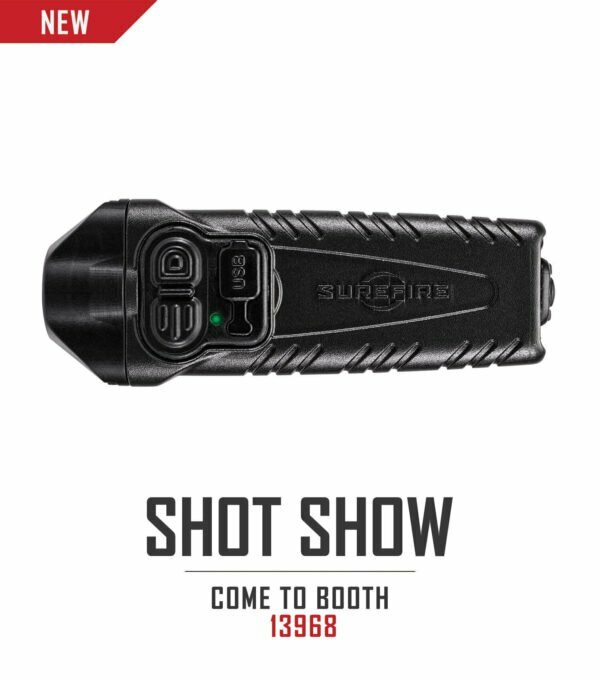 More powerful than the standard Stiletto, the Stiletto Pro is a high-output flashlight with a slim profile that fits comfortably in any pocket, and can be drawn and activated with ease. Optimized by SureFire’s proprietary MaxVision Beam® reflector, the Stiletto Pro’s 1,000 lumens of smooth, well-rounded light in high-output mode are easily accessed by the body’s primary switch or tactical tail switch; the latter also activates an optional high-frequency strobe that is useful for blinding an attacker. 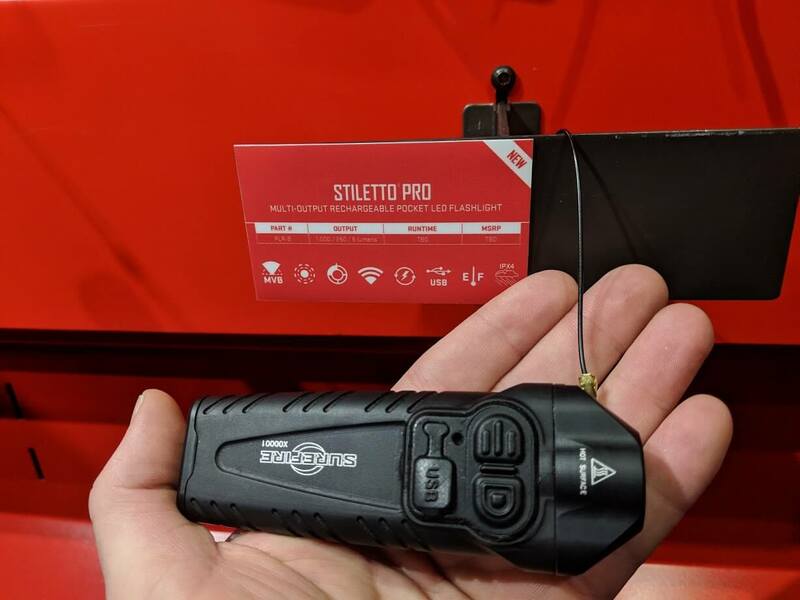 Like the Stiletto, the Stiletto Pro also features a 250-lumen medium output and a 5-lumen low output, giving it the versatility to handle a wide variety of tasks, and the primary switch can be programmed to reverse the activation sequence. A rechargeable lithium polymer battery and included MICRO-USB cable charger make it easy to keep the Stiletto Pro powered up, and its Melonite-coated, reversible heavy-duty spring steel pocket clip keeps the light secure and accessible whether you prefer to store it with the bezel up or down. Machined from Mil-Spec hard-anodized aluminum for tremendous durability, the SureFire Stiletto Pro is one tough, pint-sized powerhouse. The Stiletto’s slim design allows it to be drawn and activated from a pocket as fast as a knife. It is a rechargeable, high-output handheld flashlight – ideal for anyone’s everyday carry kit. 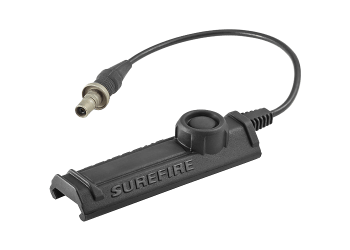 The primary switch on the body activates a wide 1,000-lumen, medium 250-lumen or dialed-down 5-lumen beam for tasks using a MaxVision Beam® reflector. The tactical switch activates high output only and has an optional high-frequency strobe. Simply recharge the lithium polymer battery with any ubiquitous MICRO-USB cable charger (included). The reversible heavy duty pocket clip will always keep the Stiletto® quickly accessible and secured. The Stiletto gives you the edge when the threat of darkness looms upon you. 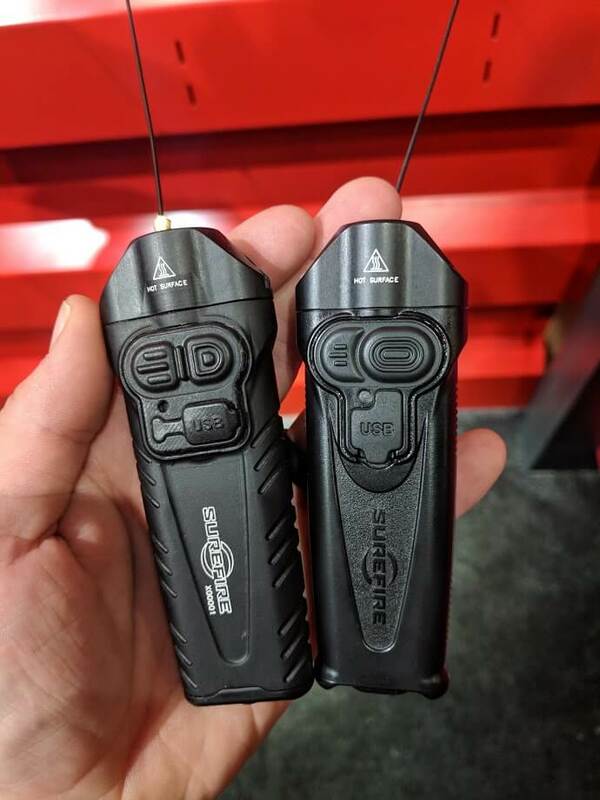 The new 1,000 lumen Stiletto on the left with the original 650 lumen PLR-A on the right.